“Elections 2016” is a result of the unselfish dedication of 300 people who worked together towards creating a comprehensive report and an analysis of the political process and early parliamentary elections in the country. 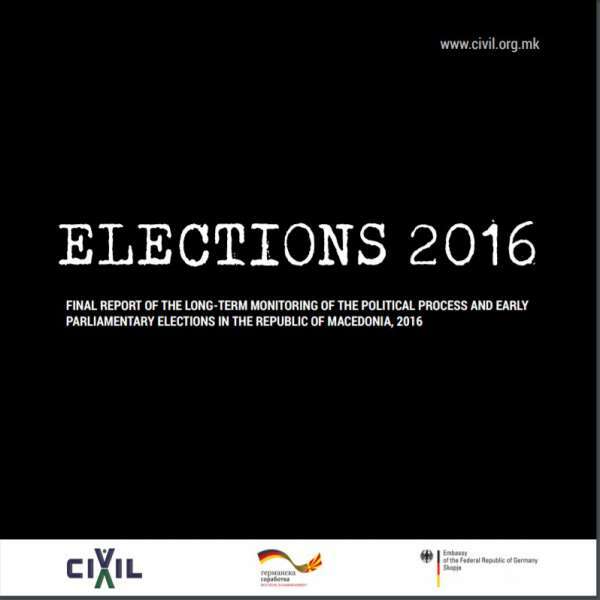 The Publication includes field reports, analyses and announcements that have been published on civil.org.mk, concerning findings, recommendations and demands in accordance to the development of the political crisis in 2016. The project and the publication are financed by German funds from the Stability Pact for South Eastern Europe.